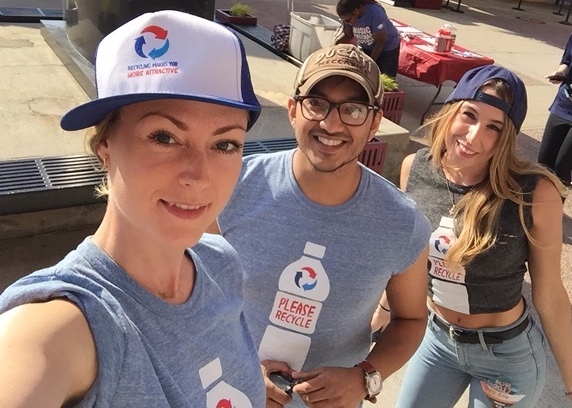 This summer, Live Nation, Pepsi, TerraCycle and Canopy teamed up to generate fan excitement and help increase the recycling rate of plastic water bottles and aluminum cans at Live Nation venues. The experience included two new interactive bin concepts developed by Pepsi and TerraCycle that help “game-ify” recycling. Concert-goers at the Jones Beach Amphitheater over the course of 5 shows (Dave Matthews Band, Train, and others) were encouraged to join in on the fun, and boy did they! As agency of choice, we were completely focused on getting fans to not just engage in the game, but more importantly, to understand the importance of recycling. And while rewarding them with tangible prizes for their involvement was great, the emotional reward of helping sustain the health of our world was that much more. For a broader look at what we did, check out the highlight video. Thanks again for reading! Hope this inspires you to get involved. And as always, feel free to drop us a line if you want to talk about this, or any other needs you might have. Did You Find My Message? 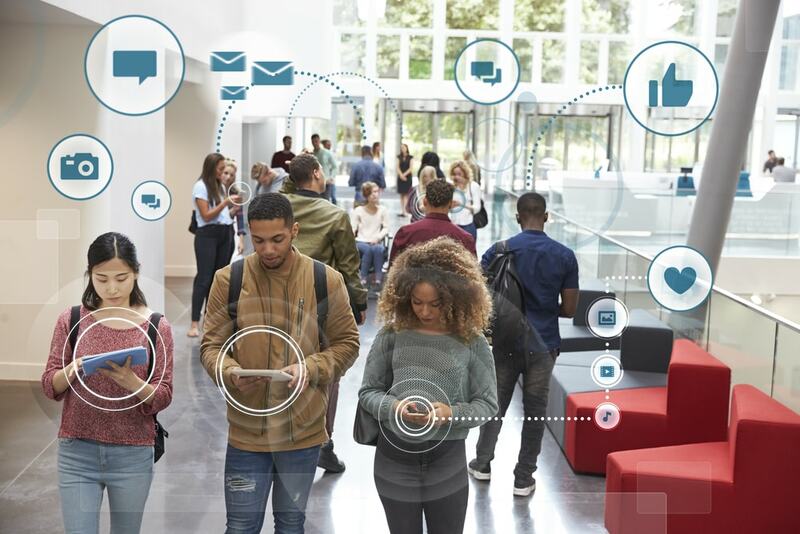 Over the past few years there have been countless messaging apps that enable users to reach out to friends over new mediums in fun and useful ways. Facebook Messenger and Snapchat are the most successful, but they aren’t even relatively fun compared to this new app. 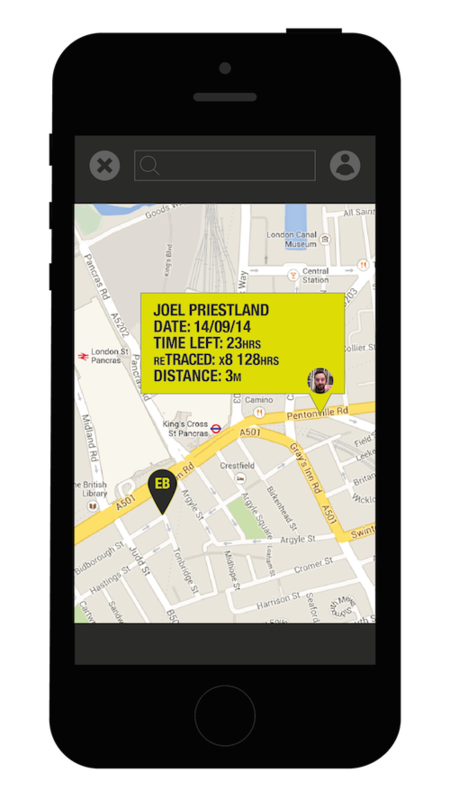 Traces is an app where you send messages that can only be retrieved by your friends when they get to a specific location. So, when you are sending a message you pick a place where the receiver has to go within a time limit that you set in order to open it. It’s like a scavenger hunt, but with messages. Traces lets you share messages, videos, and even songs. The only downside is that the app is currently only available in the UK where it is in beta – but they are planning on bringing it to the US soon, so for now we just have to hang in there. Where would you place a Trace? It’s no secret that most of Apple’s native apps are lacking in features and there are third party apps that function much better. The one app that I previously saw no need to improve was my Contacts app. It simply does a great job of saving my contact’s phone numbers and email addresses in a simple format. Well, after downloading Humin I now can see how much I’ve been missing out on. 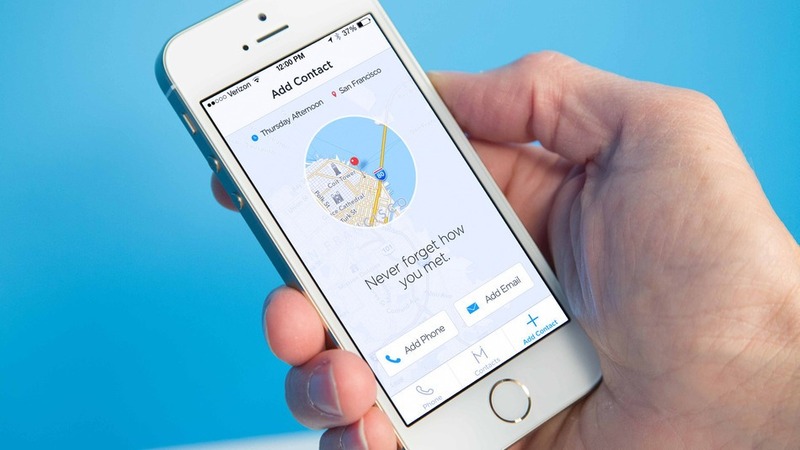 Humin does much more than keep track of how to contact the people you know, it reminds you how you know people, helps you remember them, and can even help you contact them. When adding a new contact into the app, by just entering a phone number or email address, it will automatically add a photo, where and when you added the contact, and where they work. While these features may appear intrusive, Humin guarantees that they are only taking the minimum amount of data onto their servers, so majority of it they will never have access to. Swiping over a contacts picture allows you to call them right from the app, or it can take you to your text message conversation with them, allowing you to use this app to fully replace the green phone app. This app redefines what a contacts app can do by bringing your contacts into the 21st century, far away from the days of keeping a rolodex on your desk. What Sparks our Fire: Apps that help us out. Are you ready to improve your contacts app? Sometimes you find yourself in need of a little help. And when your network of friends who are skilled enough and willing to lend a hand runs out, you need another resource on where to turn. Fiverr has raised around $30 million for their website that can simply lend a hand when you need it. Fiverr allows you to hire someone to help you with a specific service, starting at just $5. Need someone to design your business a logo? Record a jingle for you? Or review your resume for you? All of these services can be found on Fiverr. If you choose to pay more than just $5 you can get even more extensive services. We aren’t suggesting you rely on Fiverr for every service you need. But, it’s great to know that for just five bucks, you could easily find someone to lend a hand. What would you use Fiverr for?